Property 4: A Hidden Jewel Next To The Plaza. Experience Historic Taos: Architect's Space, Couples Welcome! Property 11: Experience Historic Taos: Architect's Space, Couples Welcome! 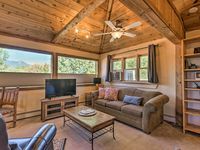 Charming Taos Studio in the Trees- Ski Special! Property 14: Charming Taos Studio in the Trees- Ski Special! Luna Rosa at Casa Encantada Taos. Walk to Town.Shop.Eat.Ski. Private Hot Tub. Property 15: Luna Rosa at Casa Encantada Taos. Walk to Town.Shop.Eat.Ski. Private Hot Tub. NEW! Cozy Taos Studio w/Shared Hot Tub Near Town! Property 17: NEW! 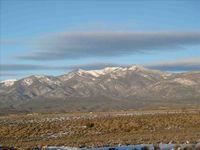 Cozy Taos Studio w/Shared Hot Tub Near Town! Property 19: NEW! Charming Taos Studio w/ Patio - Walk to Town! Property 23: Comfy Studio Suite w/ balcony. Walk to lifts. Property 24: Awesome Mountain Getaway Just 15 minutes from Angel Fire, in the forest! Charming Downtown Casita w/ Traditional Architecture -- Recently Renovated! Property 27: Charming Downtown Casita w/ Traditional Architecture -- Recently Renovated! Ski In! Ski Out! Great Ski Condo. Property 33: Ski In! Ski Out! Great Ski Condo. Property 38: Skier's Loft, Short Walk to High Speed Lift! I thoroughly enjoyed my time in the artist cottage. I was comfortable and loved the decorative theme. Everything was in great shape and the quiet was so appreciated. Especially wonderful was the hot tub overlooking the vast sage fields and mountains. I am going to go there again!! Clean, well equipped, nice deck, comfy bed!